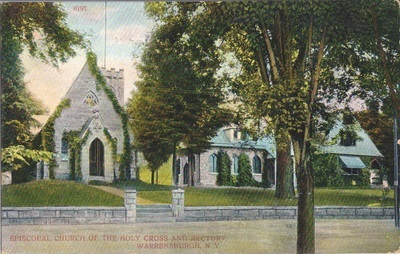 The history of the Church of the Holy Cross in Warrensburg begins with a vision: In 1798 a newly-ordained deacon, the Reverend Philander Chase (later Bishop of Ohio and then Illinois), told the Bishop of New York that he wanted to be a missionary, and Bishop Provoost sent him on a journey up the Hudson River in upstate New York. 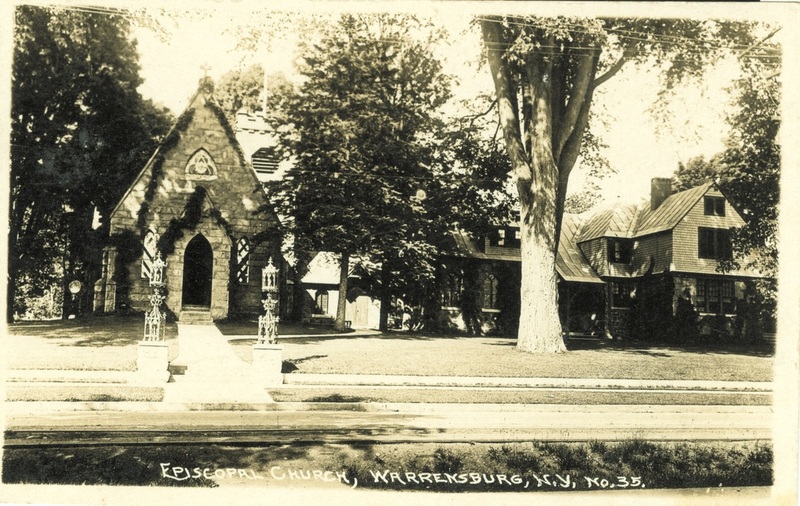 He recorded in his journal that he preached under a spreading tree in the town of Thurman (of which what is now Warrensburg was then a part) and that he established a preaching station thereto which he intended to return. 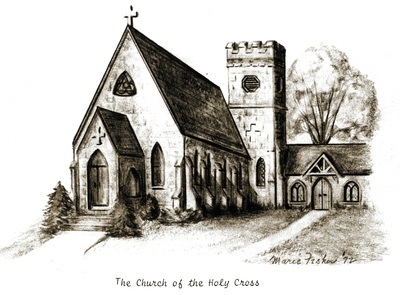 No record remains of his first attempt to bring Anglicanism to this part of the world. 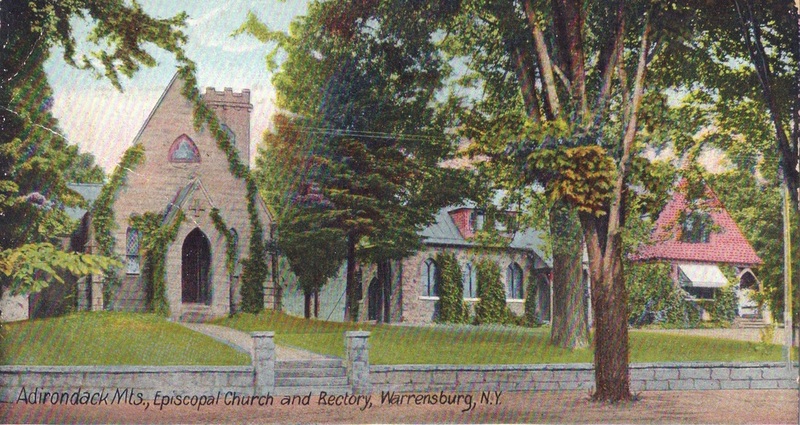 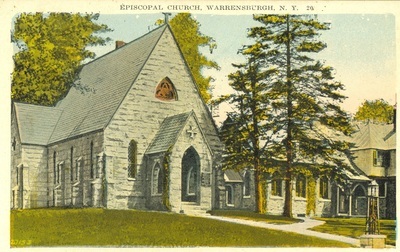 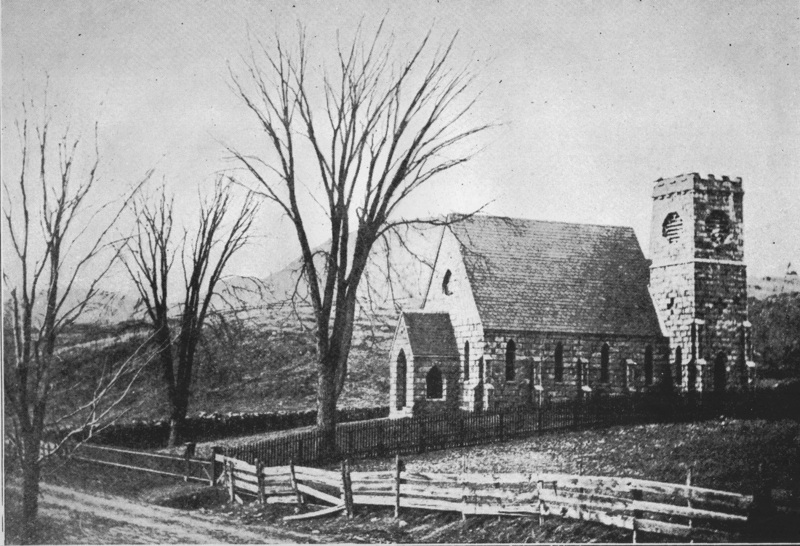 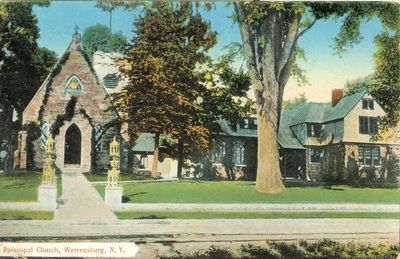 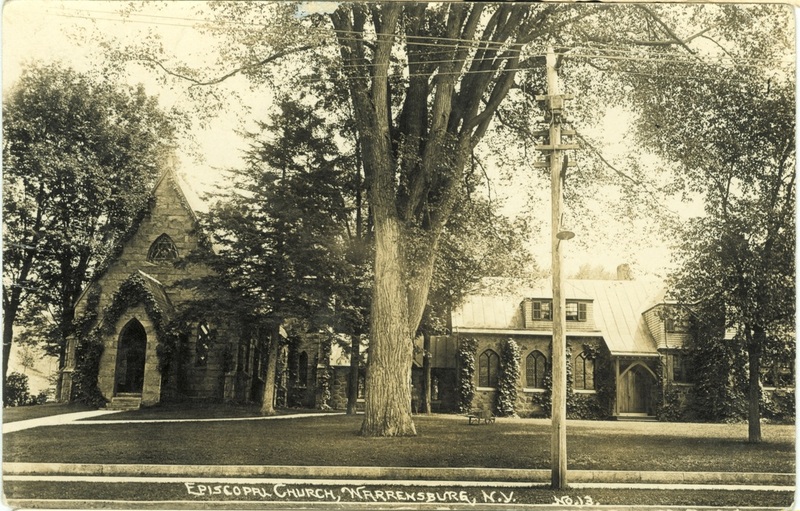 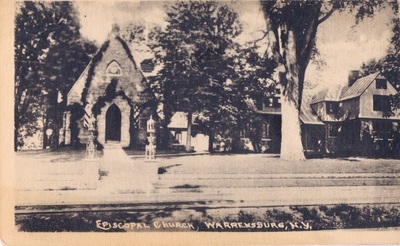 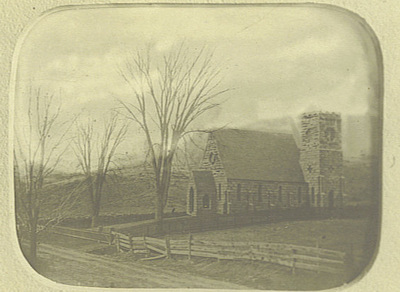 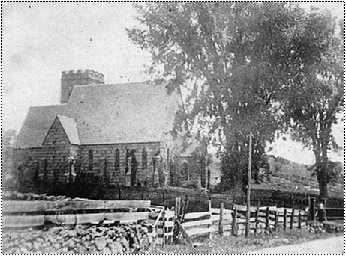 The vision was renewed, though, when the Reverend Robert Fulton Crary, scion of the famous steamship family and missionary to Caldwell (now Lake George village) and parts beyond, held a service at the Presbyterian Church in Warrensburg on the afternoon of the First Sunday in Advent, December 1, 1861. 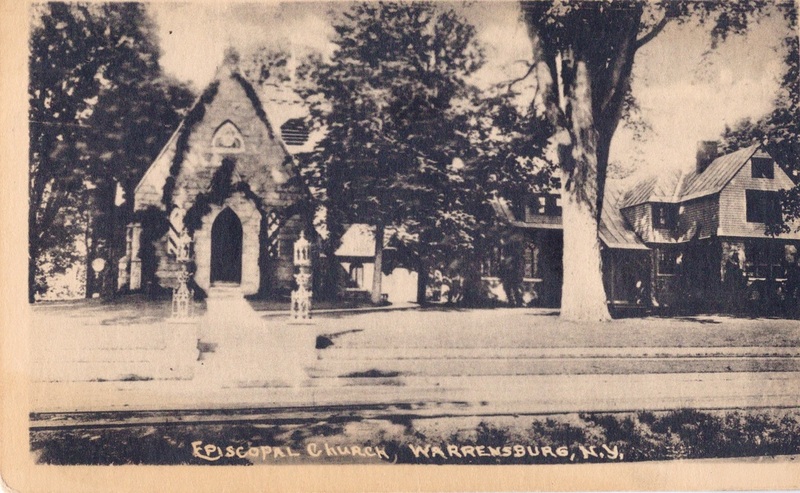 Services were held there regularly until he raised money to build an Episcopal Church. On May 18, 1864 the cornerstone was laid and the organization of the parish begun. In April of 1865 the parish was incorporated and admitted to the convention of the Diocese of New York in September of the same year. (When the Diocese of Albany was formed in 1869, the parish became part of that Convention). 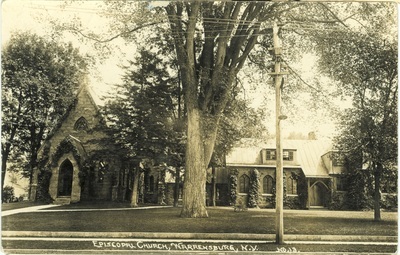 The edifice was constructed from native stone by local stonemason Albert Alden. 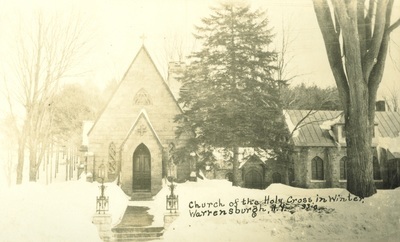 The first services were held in the church on February 5, 1865, and the building was consecrated by the Right Reverend Horatio Potter, Bishop of New York on June 13, 1866. 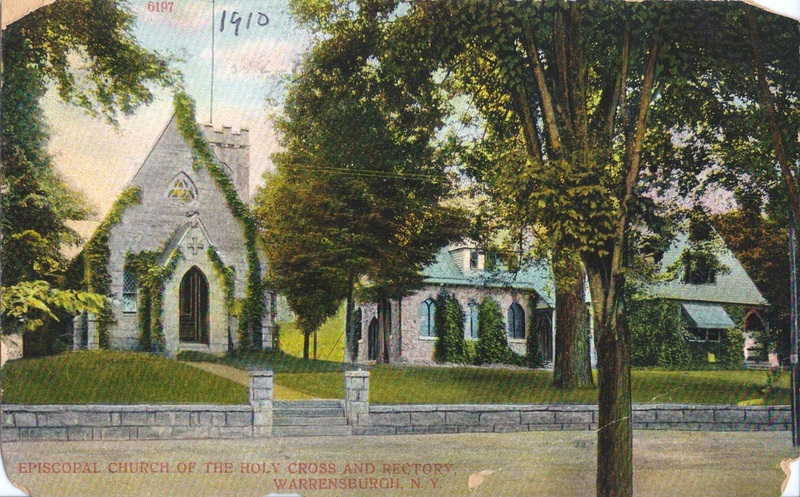 Among the furnishings of the church consecrated that day was the pipe organ, still in use today, constructed by Messrs. Hall & Labagh of New York. 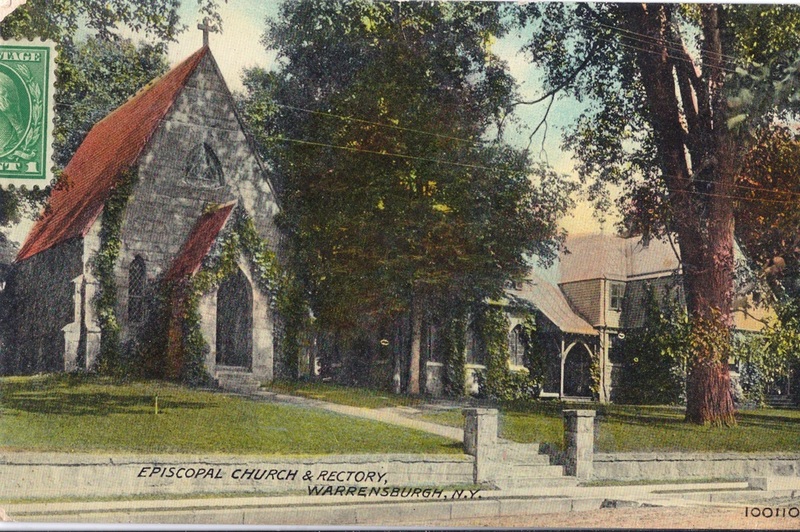 The organ was refurbished in 1966, as part of the centennial celebrations in memory of former organist and choirmaster Edward M.P. Magee. 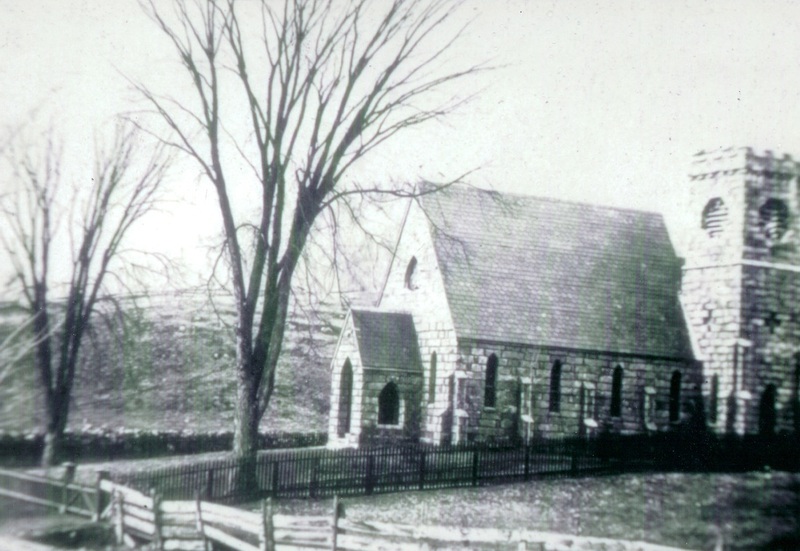 The missionary passed from the scene, but his vision for this place did not. A new chapter was opened on September 13, 1869, when the vestry elected the Reverend Henry Harrison Oberly, an assisting priest at Trinity Church, Wall Street, NY, and Superior of St. Athanasius’ Mission, to become the first Rector. Fr. 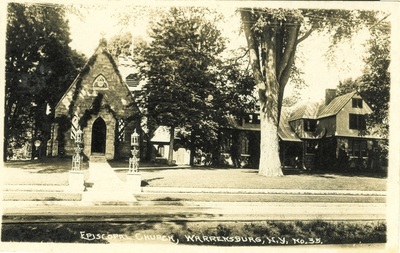 Oberly commenced his work in Warrensburg on November 1, 1869. Fr. Oberly was representative of the growing “Catholic Movement” within the Episcopal Church, and introduced elements such as vestments, ceremonial, plainsong, and weekly Eucharist, which remain to the present day. 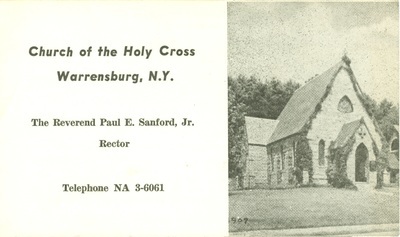 Father Oberly resigned as rector in 1872 and has been succeeded by 17 priests. 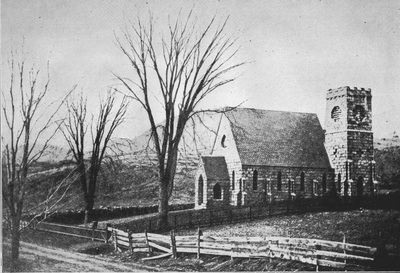 Equally important to the clergy, though, have been the laymen and women who have guided the temporal affairs of the parish. 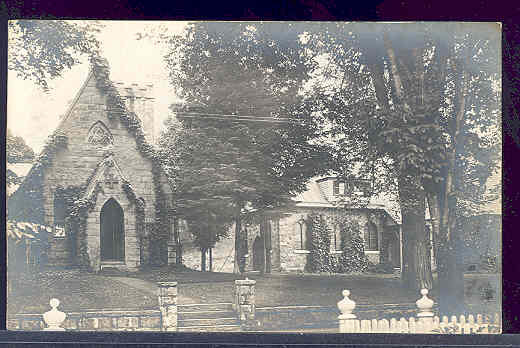 Seventeen men have served as warden, including the first two, Col. Benjamin Peck Burhans and Stephen Griffing, who each served from 1864-1875. 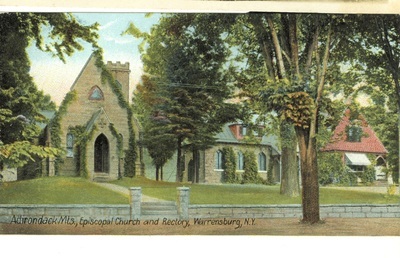 Three men have served more than twenty-five years in this capacity, including Henry Griffing (1877-1918), Charles Burhans (1897-1910), and Herrick Osborne (1949-1976). Over ninety men and women have served on the Vestry, many for long years; perhaps singular among them is Emerson S. Crandall, who served fifty-one years (1868-1876, 1881-1889, 1891-1926). 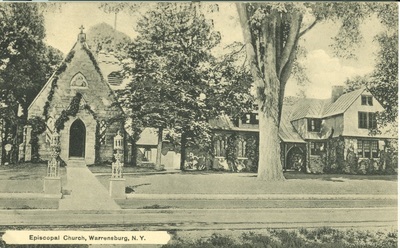 In 1886 a building to be used as Rectory and Parish Hall was erected as a memorial to the first senior warden, Benjamin P. Burhans. 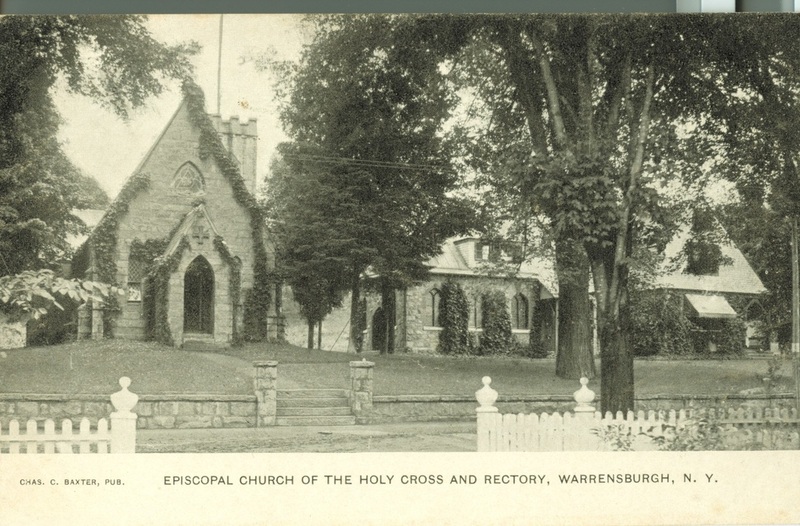 In 1987 the Wardens and Vestry voted to honor the long service to the parish of its Warden Emeritus by naming the parish hall “Herrick Osborne Hall.” A communication of December 6, 1889, from two sisters, Clara and Mary Richards, two major donors to the rectory project, proposed the establishment of a Circulating Library for the use of the residents of Warrensburg; this vision later found full expression in the Richard’s Library, the town’s public library. 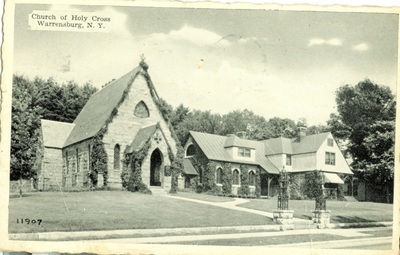 Later building projects included the Cloister, a passage connecting the Church and the Parish hall. This was done in 1911. 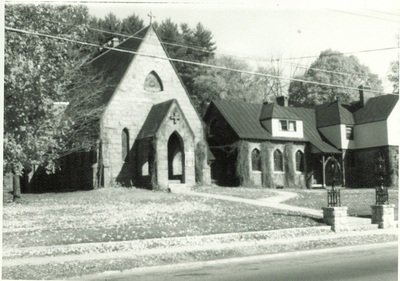 In 1978, an education wing of two stories was built. 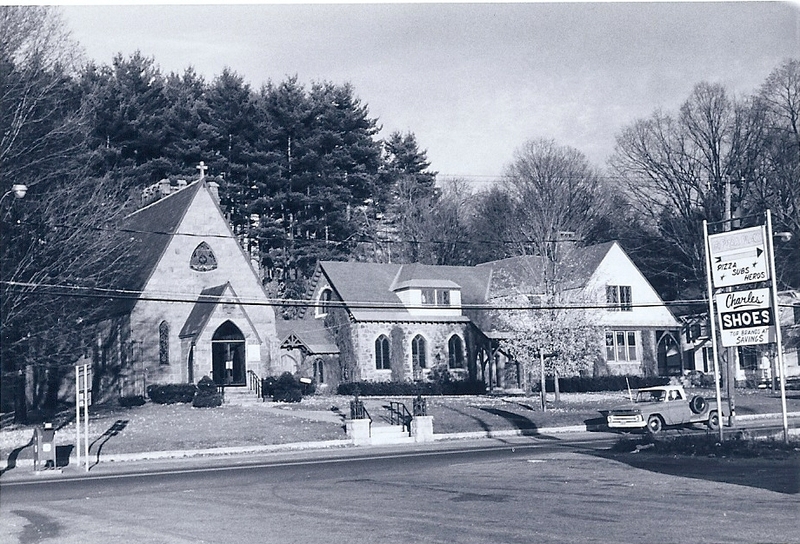 In 1966, a major renovation project was begun under the leadership of Father Paul E. Sanford, Jr. to commemorate the centennial year of the parish. 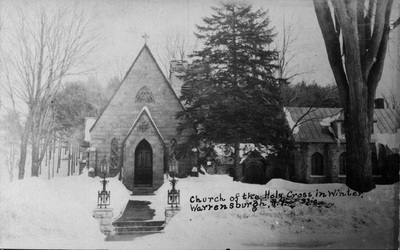 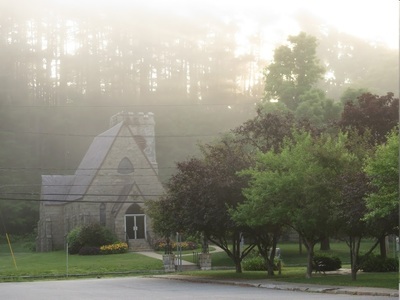 The Church of the Holy Cross was built in 1864 by local builder, Albert Alden, decendant of the famous John and Priscilla Alden. 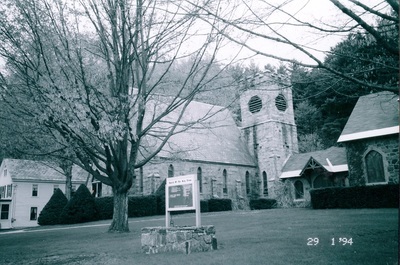 Stone for its construction was quarried from nearby Hackensack Mountain. 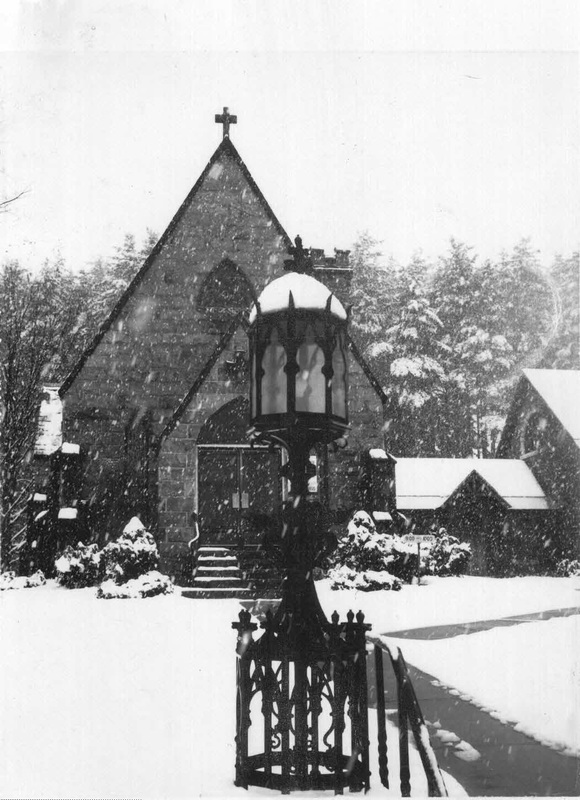 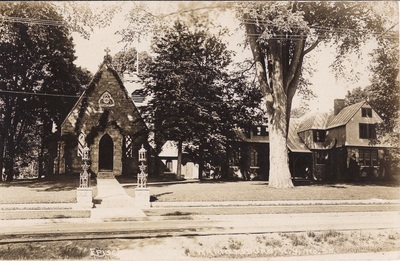 In 1865, the church tower and porch were added and, upon completion of the tower, a bell weighing 627 pounds was presented to the parish by Colonel Burhans, church warden. 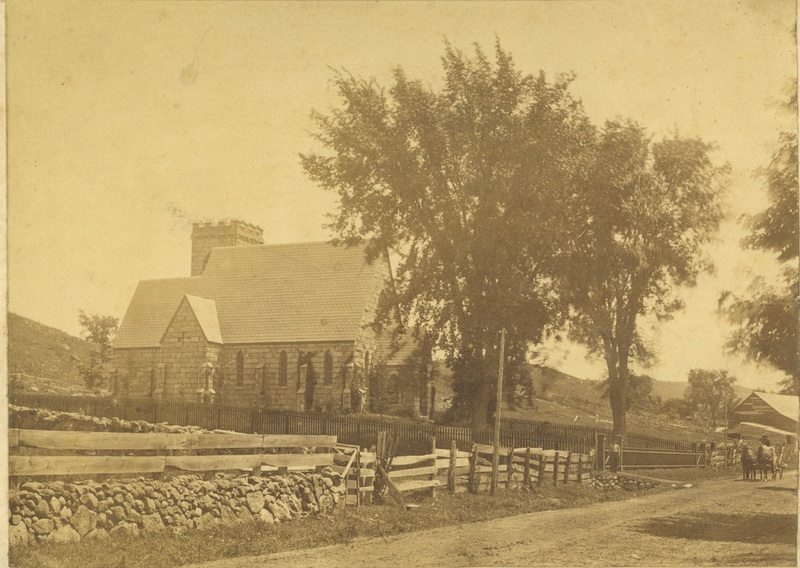 The one-manual tracker organ, installed in 1866, was built for the church by Messrs. Hall and LaBaugh, of New York City. 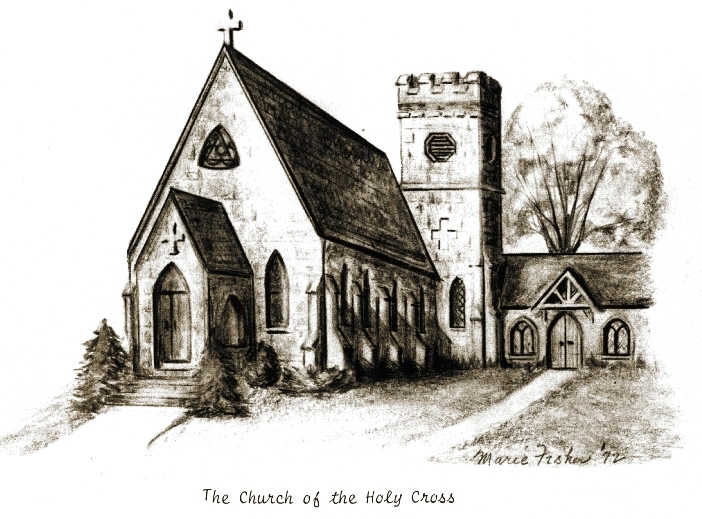 The organ has been used, exclusively and continuously, for church services since that time. 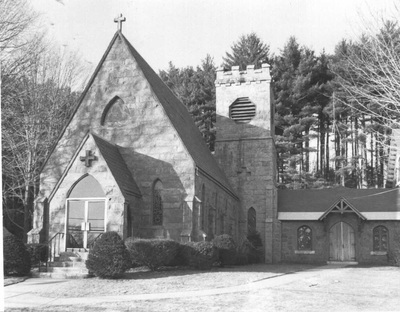 In preparation for the church's centenary celebration in 1966, the organ was completely restored through the generosity of Mrs. E. M. P. Magee. 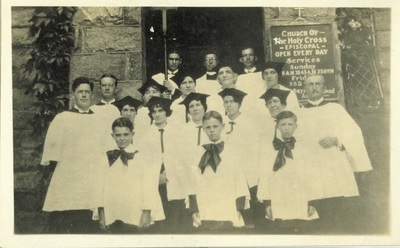 At this time a mixture stop was added which adds greatly to the church festival music. 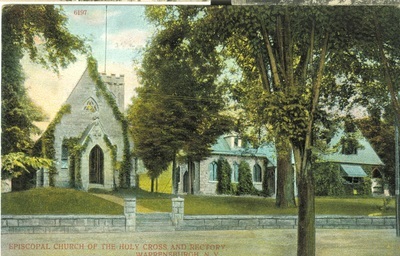 The parish house and rectory were built in 1886, the cloister added in 1911. Soon after this, two wrought iron Gothic lamps were placed at the entrance to the church. In 1949, seven new stained glass windows were installed and four more added in 1966. A shrine to Our Lady of Walsingham was dedicated in 1971.